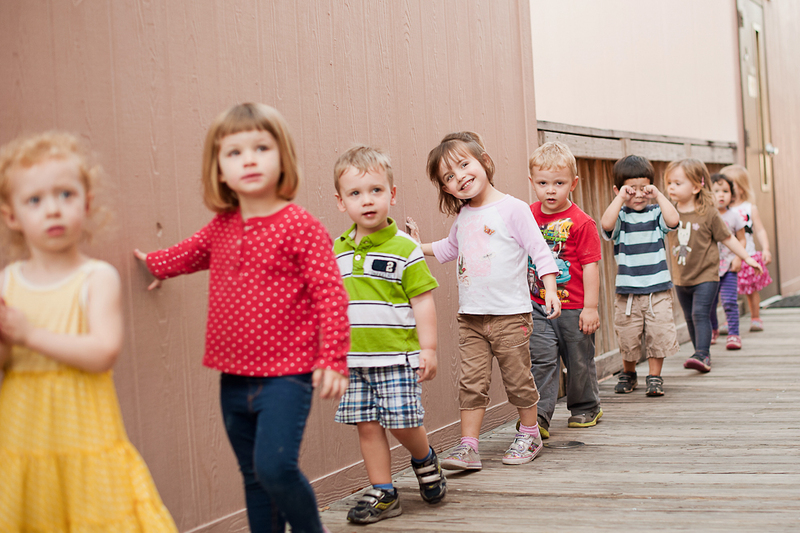 Our two year old program is your child’s introduction to the preschool years. Our teachers provide a variety of activities based on the children’s interests, questions asked and learning style. We emphasize learning and creativity through concrete, hands-on learning opportunities, as well as through songs, finger plays, movement activities and manipulatives. We also have a series of movement activities to foster motor abilities and following directions. As the children ask questions and show interest in the world around them, multiple opportunities are given in order to allow the children to study and practice their new knowledge. Special attention is given to each child’s level of development, with recognition of his/her individuality. We consider active involvement of the children in all phases of their growth and learning essential to the quality of their overall experience at Trinity. Children are encouraged to make their own decisions (for example: choosing which learning center of the classroom in which to play, deciding on how to do an activity) and problem solving when appropriate. In these two year old classrooms, the children all follow the same schedule allowing for many chances to work on their blossoming social development. A child’s day is balanced between free play and independent choices as well as structure and routine, which encourage children’s developing a sense of independence. Basing our curriculum on the children’s interests, we are able to design themes that are planned in lengthy blocks of time, allowing full exploration of a subject by using the theme in all areas of the program. The children also work in small groups with the teachers. The small groups allow for individually focused interactions that allow for fuller exploration. 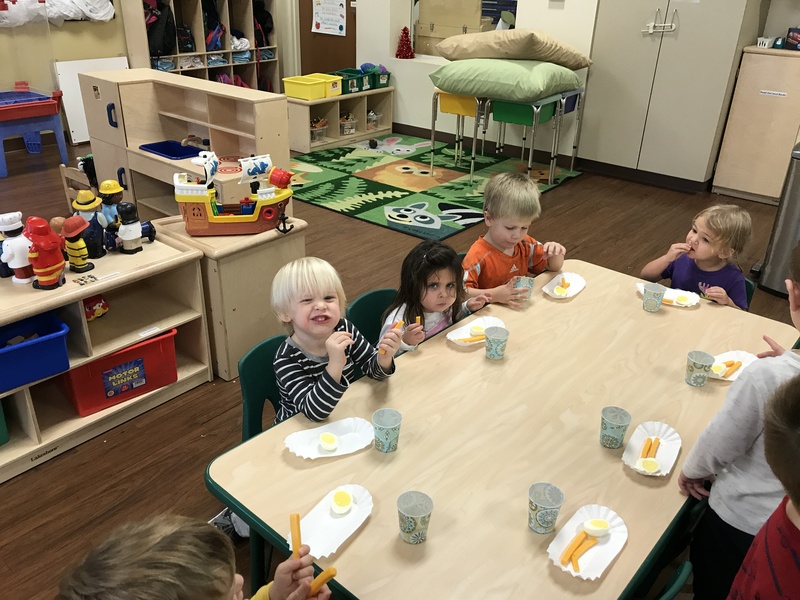 Our aim is to provide an environment and program that will encourage a child’s independence and confidence and enjoyment of learning to help them prepare for Kindergarten. We strive to make our environment warm, comfortable, and safe so all children feel welcome. As preschoolers are learning to be more independent, we strive to encourage their blossoming independence by balancing the day with free play and independent choices as well as structure and routine. Free play and independent choices allow the children to make decisions about where and what they would like to play. We also encourage them to help in preparing snacks, cleaning up after play times, unpacking and packing their lunch boxes and preparing their nap spaces. Regular routine and structure is important in a preschooler’s day as it prepares them for the flow of the day. By knowing what to expect, children can spend more time learning and enjoying their program. We strive for personal independence. It is empowering to know you can do it yourself! Our classroom space is divided into various learning centers that change and expand throughout the year. We believe that the classroom set up is an essential part of the learning experience. The teachers in the classroom act as facilitators, scaffolding learning and experiences so each child can learn and grow at their own pace. The classroom is set up for daily experiences in math, science / discovery, creative art, drama, language, reading and writing, sensory, music and movement, blocks and gross motor.